Welcome to part one of a series designed to highlight common injuries in the many types of athletes that we see here at COR. 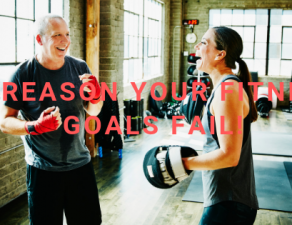 These educational pieces are designed to help you understand the common pathologies of your sport, how to prevent them and how physical therapy can help optimize your health and performance. This article will focus on swimming. 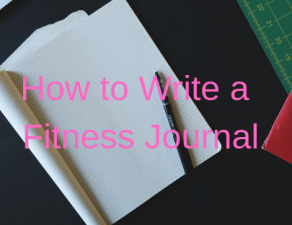 Look out for future articles about rock climbing, cycling, tennis, running and more! Let’s dive right into our first patient population, swimmers (pun intended)! Swimming and shoulder pain have become almost synonymous for some swimmers, but they should not be. Education is the first step to improving the current and long-term health of your shoulders. Do not settle for shoulder pain! There are things that you can do to better your practices, races and overall health! To understand shoulder injuries in swimmers, it is important to have a basic understanding of the anatomy of the shoulder joint and rotator cuff muscles. The strength of these muscles and their ability to turn on at the proper time, are critical factors that impact shoulder health in competitive and recreational swimmers. The three factors explained in this article are not the only contributors to shoulder pain in swimmers, but they are the most commonly addressed at COR in our physical therapy sessions. If you have new onset shoulder pain, or pain that has lingered for months to years, take the first step toward improving your health and performance by reaching out to us! You can call to schedule an appointment at 408-905-6483 or schedule online on our website. Rotator cuff muscles are the “fine tuners” of shoulder movement. Improving the strength and endurance of these muscles decreases the likelihood of impingement during swimming. It is common for swimmers to have decreased strength in this muscle group and poor ability to turn these muscles on at the correct time. 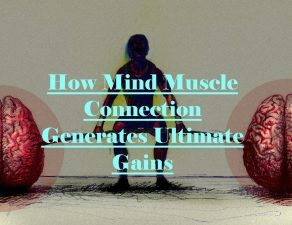 Specifically targeted exercises, designed to improve the activation of these muscles can help decrease your pain, improve your force production and ultimately enhance performance in the short and long term. This muscle group is worth all of the buzz: 4 small muscles with a lot of responsibility. The responsibility? Keeping the top of the arm bone (the head of the humerus) in the correct spot when performing overhead activity. 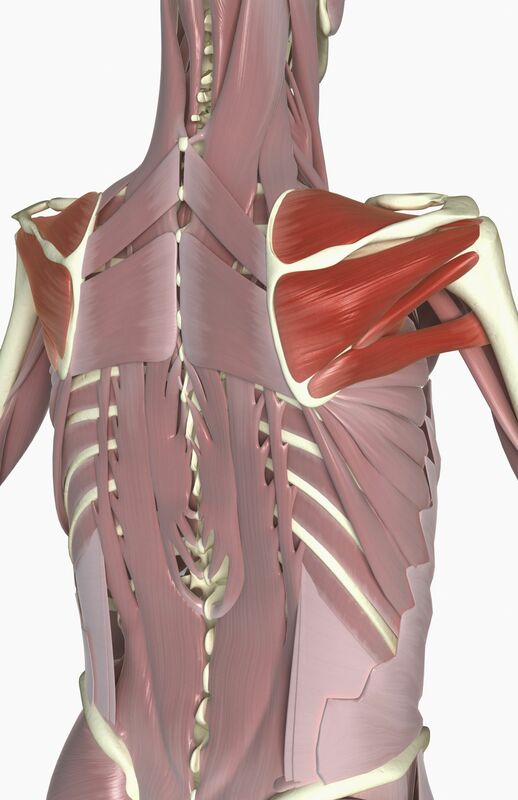 The four muscles that make up the rotator cuff are the subscapularis, supraspinatus, infraspinatus and teres minor. When the arm is raised up overhead and rotated during swimming strokes, two of the rotator cuff muscles (infraspinatus and teres minor) rotate forward under the hook-shaped bone (acromion) that sits above them. It can be challenging to visualize, but this concept is one of the most important in understanding shoulder pathology in swimming. Check out this video below for an explanation using our shoulder model. If the rotator cuff is not able to generate enough force, small damages to the rotator cuff muscles can occur overtime. These damages can lead to a condition called tendinosis, where the tendons enlarge, weaken and become infiltrated with fat. Larger tendons in an already tight space only exacerbate the issue. During the 10,000+ strokes per practice, the rotator cuff muscles on the back of the shoulder are forced to slide under the acromion. The best case scenario is that there is room for these structures to slide under the bone without damage. For this to happen, the rotator cuff muscles have to generate ample force to stabilize the shoulder joint. 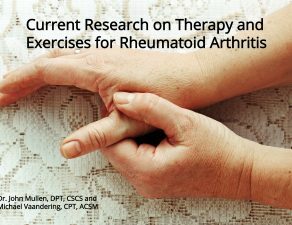 Specific, rotator cuff and scapular muscle strengthening exercises can help. Before you start a strengthening program, you need to ensure that you are activating the correct muscles. We see very frequently in clinic that swimmers have difficulty doing this. When asked to rotate the shoulder out, the motion is full of compensations: rotating the trunk, squeezing the shoulder blades together, leaning to the side, etc. In order to get the most benefit (or any benefit) out of your exercises, you need to minimize these compensations. Good rotator cuff strengthening starts with ensuring that you are activating the appropriate muscles. 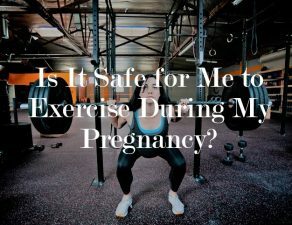 Feeling the muscle while performing the exercise or watching yourself in a mirror are great ways to ensure you are not cheating during these important exercises. We know that they are not the most exciting exercises you can do, so make sure you are not wasting your time. Take ownership of your rehabilitation and health: your shoulders will thank you! Check out this video below to learn how to check if you are activating the correct rotator cuff muscles during rotator cuff strengthening exercises. It would be wrong to tell you that the likelihood of impingement is only impacted by the strength, endurance, and activation of your rotator cuff. The truth is that other unmodifiable factors such as the shape of the bones of your shoulder and shoulder blade also affect the likelihood of impingement and pain. While you may not be able to change these factors, you can improve your condition by taking ownership of your strengthening and rehabilitation. Swimmers commonly have bands of tight tissue or trigger points in the rotator cuff muscles on the back of the shoulders. These are thought to be caused by the repetitive stretching and recoil of these muscles during the reach and catch of the stroke. Decreasing the tension or tone in these muscles helps to restore their proper length and ability to generate force. Greater force production decreases the likelihood of impingement. We see this very commonly in the swimmers we treat at COR. Multiple trigger points, or very tight bands of muscle tissue in rotator cuff muscles on the back of the shoulder blade; taut bands that lead to pain and decrease the amount of force the muscle can create. What you can do: When working with swimmers, we find significant, and often times immediate results with specific myofascial release techniques applied directly to the infraspinatus and teres minor muscles. 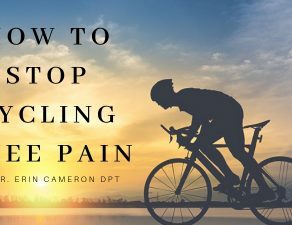 These methods can be performed in clinic by a physical therapist or massage therapist and then mimicked at home using a lacrosse, tennis or baseball placed directly to the spot of tension. Watch the video below to see how to perform the best myofascial release technique for shoulder pain on your own! 3. Rotator Cuff Musculature: Space is Key! My friends used to joke that you can always fit one more thing in your swim bag. I am a firm believer that this is not the case. At some point, a shampoo bottle will explode a zipper will burst or a perfectly good banana will turn into an inedible blob of mush. 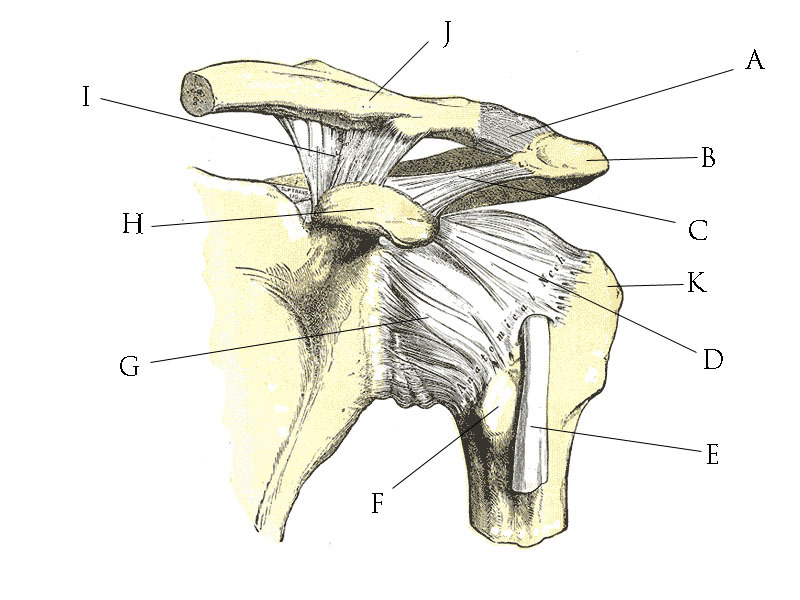 The subacromial (between K and B in the picture below) space of your shoulder is no different. Well, actually it is very different, but the same concept applies. The space has consistent contents: bursa, supraspinatus tendon, biceps tendon, joint capsule. Just like your stuffed swim bag, this space is pretty full, adding something else to the area will likely lead to some structure being damaged, except instead of a shampoo bottle or a banana it will likely be a tendon or bursa. The space issue is complicated when you factor in the repetitive overhead reaching and rotation motion involved in swimming. The contents of the subacromial space continuously change. The goal is to always have enough space in the shoulder to keep from compressing contents to the point of damage. Just like the other muscles in your body, at the end of a tough practice, your rotator cuff is tired. When the rotator cuff is fatigued, it loses its ability to provide the shoulder with the stability it needs to avoid injury to contents in the subacromial space. This increases your risk shoulder pain. So what happens when damage does occur? If repetitive damage in the area leads to a state of inflammation, excess fluid now also crowds the shoulder joint, pressing on structures and potentially causing more pain. Here some signs that you might be in the inflammatory phase of injury: constant pain, pain worse in the morning, swelling and redness. If you find yourself in this stage of injury, there are specific things you can do to decrease your symptoms and move through the inflammatory stage more quickly: rest, ice, anti-inflammatory medication. Rest: Relative rest is key. 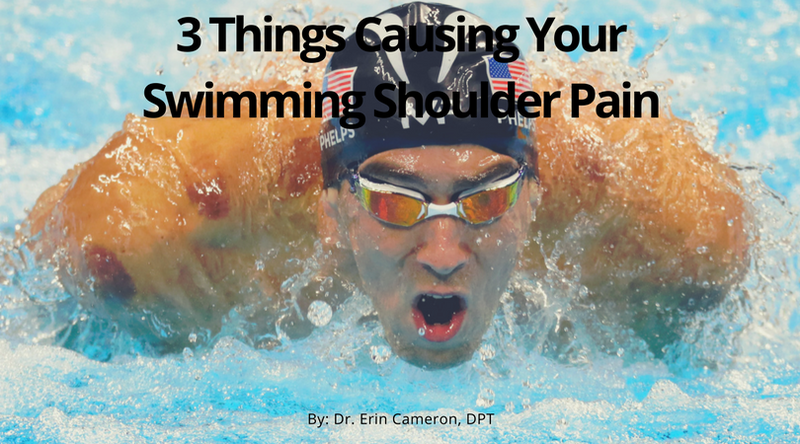 If your shoulder is constantly in pain while swimming, you are only doing more damage. Finding ways to alter your stroke or change your practices so that you can get work done in the pool without pain is imperative during this stage of injury. We recommend not swimming if pain in the shoulder is greater than 2/10 (0 being no pain, 10 being worst pain imaginable). For example, if you are having increased shoulder pain with pulling with paddles, talk to your coach about removing the paddles and swimming without equipment. If pain persists, try to finish the set kicking with fins – preferably on your back with arms at your side (kicking with a kickboard places increased stress on the shoulder). Increase yardage gradually. If you can only perform 500 yards without pain on Monday, swim 500 yards and then gradually increase by 500 yards every other day. 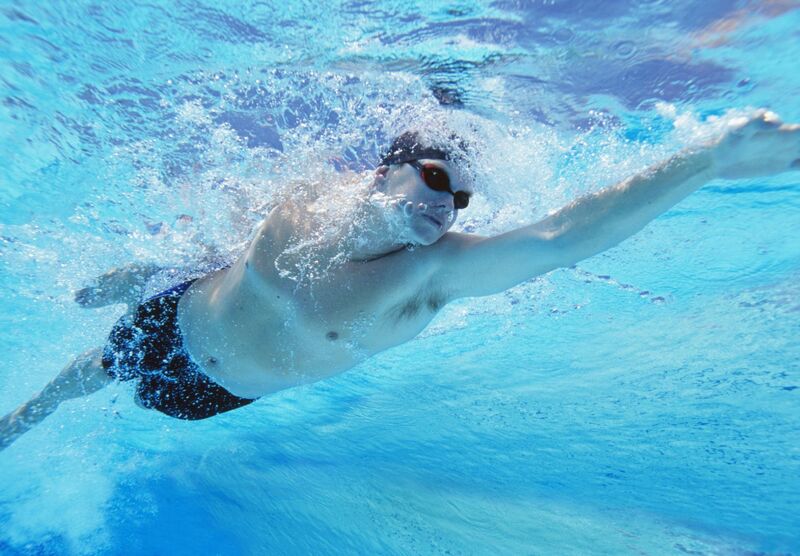 Swim only strokes that are non-painful then gradually add in breaststroke, backstroke then butterfly a 50 at a time. Be methodical about the way you return from injury and you will have a better chance of staying pain-free long term. Ice: Ice can be helpful in the early stages of injury. If your shoulders are painful after practice, try icing the shoulders for 10 minutes after a pool session. Anti-Inflammatory Medication: Over the counter, anti-inflammatory medication can also be helpful in the early stages of injury. You can talk to your physician or pharmacist about the proper use of these medications in the short term based on your history. Use as prescribed, with the goal of transitioning to non-medicinal pain relieving techniques as soon as possible to avoid side effects. That was a ton of information, but I hope that you found it helpful! Here are my takeaways from the article. Swimming with shoulder pain is not normal! There are many contributors to shoulder pain in swimmers. Doing exercises correctly is key! Self-myofascial release techniques with a ball are helpful to decrease pain in the short and long term. Decreasing inflammation is important in the early stages, ice, anti-inflammatory medication and gradual transition to full practices can be helpful. 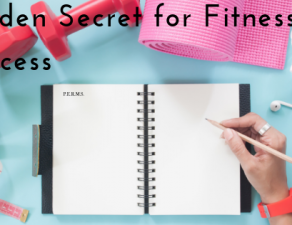 Want More to Improve Your Health and Performance? 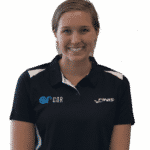 Check out the COR Swimmer’s Shoulder System created by John Mullen DPT, CSCS: a comprehensive, step-by-step dryland plan designed to improve existing shoulder injuries and prevent future injury. 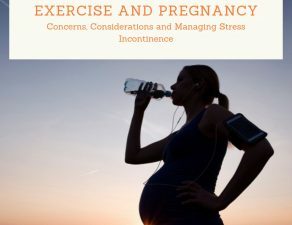 For more information about our services and access to more articles like this one visit our website.